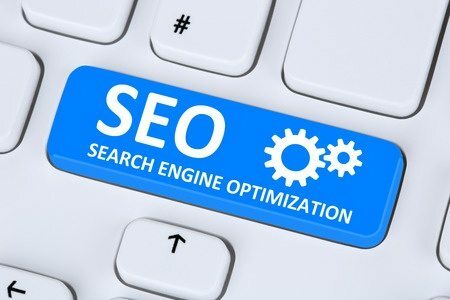 Tip 1 of my Top 10 Tips and Tricks for building a search engine optimized (SEO) website from the ground up is thorough Keyword Research. Keyword Research is the process of using keyword research tools to determine the value of a particular keyword or keyword phrase. Keyword research is critical to the SEO process. Without keyword research all your efforts to optimize your site to rank high in the major search engines may be directed to the wrong terms and phrases. This will result in rankings for words that no one searches on. The process of keyword research involves several steps. The first thing you are going to want to do for keyword research is brainstorm the word or words potential customers might use to find the site you are planning to build. This list will include both individual words and 2 to 4 word phrases. You will need enough keywords and keyword phrases to cover all the services or product areas you are going to promote on the site. If you are having trouble coming up with enough keywords or keyword phrases use past customers, your friends, colleagues, or even your competitors. You can check the “meta keywords” used by your competitors. Most browsers will let you do this by right clicking on the page and choosing “view page source”. Now the work begins. You need to begin the process of qualifying your keyword list. By checking your proposed keywords with a keyword research tool, you can easily learn how many users are conducting searches for that particular term every day, how many of those searches actually converted, and other important analytical information. You may also discover words that are different than your keywords that searchers are using instead of yours or even synonyms you weren’t even aware of. There are plenty of good tools out there to help you determine how valuable your keywords are to your site. Here’s a few of my favorites. SEO Keyword Research Tool A free research tool on SEO Portland and powered by Arron Wall. This is a good tool to begin with. Wordtracker: Wordtracker is a subscription tool that lets you look up popular keyword phrases to determine their activity and popularity among competitors. Their top 1000 report lists the most frequently searched for terms, while their Competition Search option provides valuable information to determine the competitiveness of each phrase. They also have a free trial version but be prepaired to spend some time using it. Overture Keyword Selector Tool: Overture now Yahoo!’s Keyword Selector tools shows you how many searches have been conducted over the last month for a particular phrase and lists alternative search terms you may have forgotten about. The only problem with Yahoo!/Overture is that singular and plural word forms are considered one phrase. For example, "widgets" and "widget" would appear as the same word "widget". Google AdWords Keyword Tool: Google’s keyword Pay-Per-Click tool doesn’t provide actual search numbers for keywords. Instead, it displays a graph like, colored bar, giving users an approximation. Keyword Discovery tool: This is a fee-based tool where users can see how many users search for it daily, identify common spellings and misspellings, and determine the market share value for a given search word or phrase. Google Suggest: Google Suggest is a great way to find synonyms and related word suggestions that may be helpful to expand your original list. Thesaurus.com: A good way to discover synonyms you may not have remembered. NicheBot is the best keyword tool I have been able to find it includes results from Wordtracker, Google, Keyword Discovery, and Yahoo!/Overture. This tool saves me alot of time and effort. Their tagline is, "Search The Major Keyword Services All in One Place to Easily Locate the Highest Traffic/Lowest Competition Keywords Like a Laser-Guided Missile!". They even have a 2 week test drive for a buck. Remember that you’re not only checking to see if enough people are searching for a particular word or phrase, you’re also trying to determine how many of your competitors are using that keyword or phrase on their sites.